The monumental area of the town cemetery of Bologna is now beginning to reflect its former splendour. Eight large restoration sites were opened and concluded from the summer of 2013 within the monumental area of the Certosa; these last 12 months have as a result seen the highest number of projects within the town cemetery since 1999, when the Comune di Bologna launched a far-reaching and continuous programme of restoration and promotion. The work has been done under the responsibility of the Istituzione Bologna Musei | Museo civico del Risorgimento, of the Public Works Division of the Comune di Bologna and of the cemetery’s current operators, Bologna Servizi Cimiteriali, and under the supervision of the competent Soprintendenze. 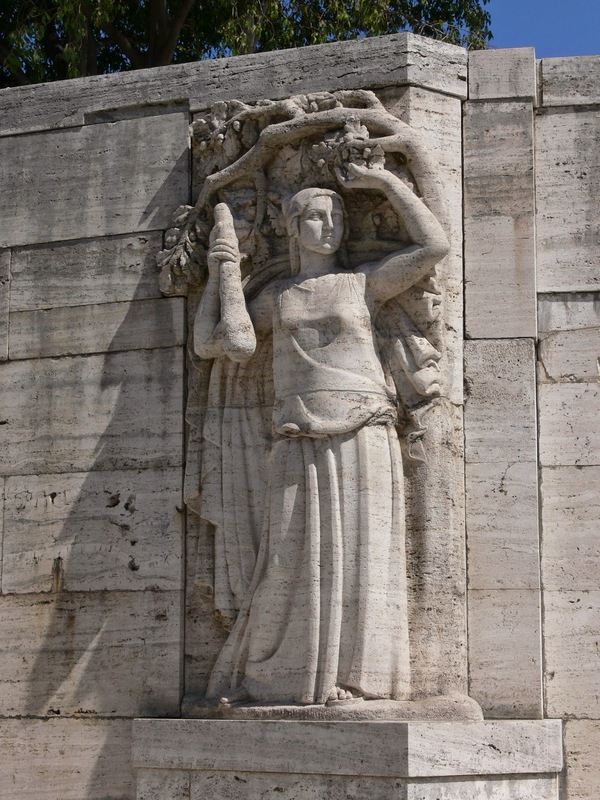 In particular, the work has involved the restoration of the monumental entrance known as the 'Piangoloni', with the three colossal terracotta statues, and of the two 'Lions' in the southern semicircular area of the Chiostro Maggiore (Main Cloister); and the restoration of the 19th-century monuments to Maria Barbieri, Pellegrino Tomasoli and Olimpia Spada. Extraordinary maintenance has also been done to the 19th-century paving of the four-sided portico of the northern side of Chiostro (Cloister) III; of the monument to the ‘martyrs of Fascism’ in Choistro VI; and the outside of the Monumento ossario ai Caduti delle Grande Guerra (First World War Ossuary), also in Chiostro VI, with the replacement at the same time of ten deteriorated gravestones. 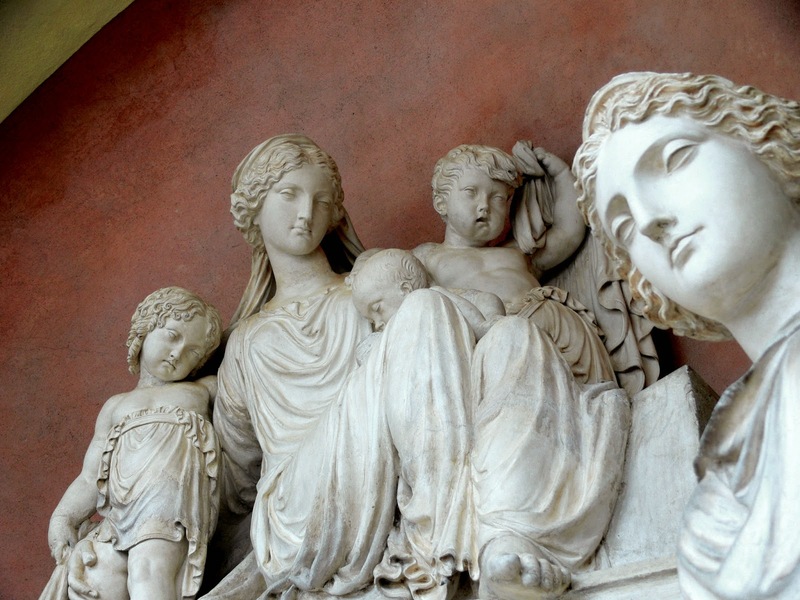 The projects were implemented at an overall cost of Euro 122,605, in part covered from the proceeds acquired from re-concessions to new families of abandoned or forfeit old tombs, and in part with the contribution of the Fondazione Cassa di Risparmio in Bologna. The work was given to different specialised firms, except for the restoration of the entrance to the ‘Piangoloni' and of the two Lions in the southern semicircular area of the Chiostro Maggiore, which was done as a practical training programme by the Accademia di Belle Arti di Bologna. In this case, the work was undertaken by the students of the Accademia’s “Stone and derivatives restoration course”, directed and co-ordinated by their teacher, prof. Sotirios Karoutsos, and under the careful supervision of the competent Soprintendenza. The type of intervention ranged from the restoration of marble, stucco and terracotta to the renovation of stone facings. In the case of the Spada and Tomasoli monuments, extraordinary maintenance had also to be done tin the area behind, as the poor conditions were causing water infiltrations that were damaging the monuments. The paving and guttering of the area was therefore repaired, the plasterwork restored and the drainpipes by the monuments themselves refurbished. 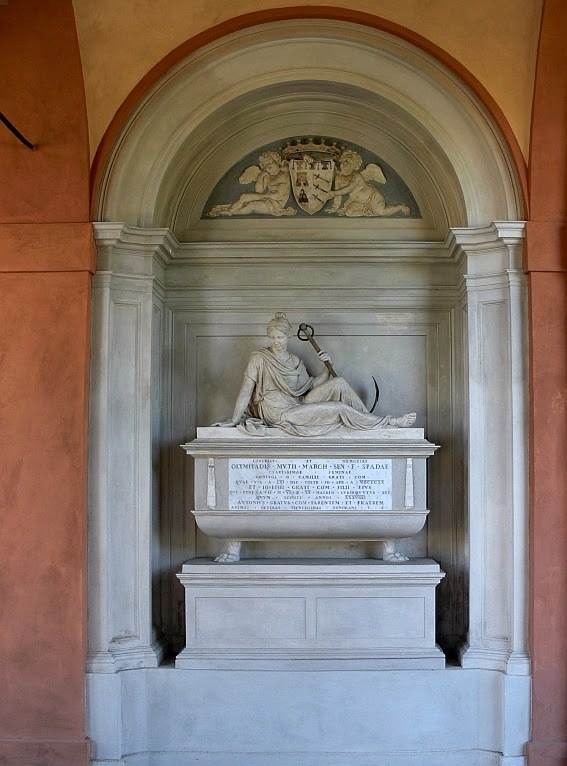 Thanks to the restoration, the Spada and Barbieri tombs are now available to new families, while the Tomasoli sepulchre has been transformed into a common ossuary/ashes monument, which will enable those wishing to do so to place their loved ones in the prestigious monumental part of the cemetery but for a relatively moderate investment. The recovery of old tombs has shown itself once more to be a fundamental aspect of the restoration and promotion programme implemented by the Comune di Bologna. Often. these tombs have been abandoned; in some cases, owing to failure to observe legal requirements or neglect on the part of the descendants of the original assignee, and in others because the family of the original assignee has died out. 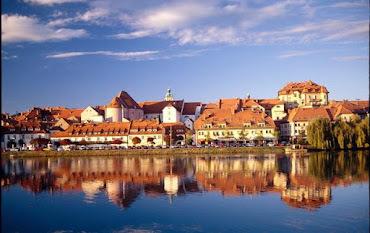 These tombs thus become available once more to the municipal authorities which, having restored them, makes them available for new families, activating the process of re-assignment via a publicly evidenced process. 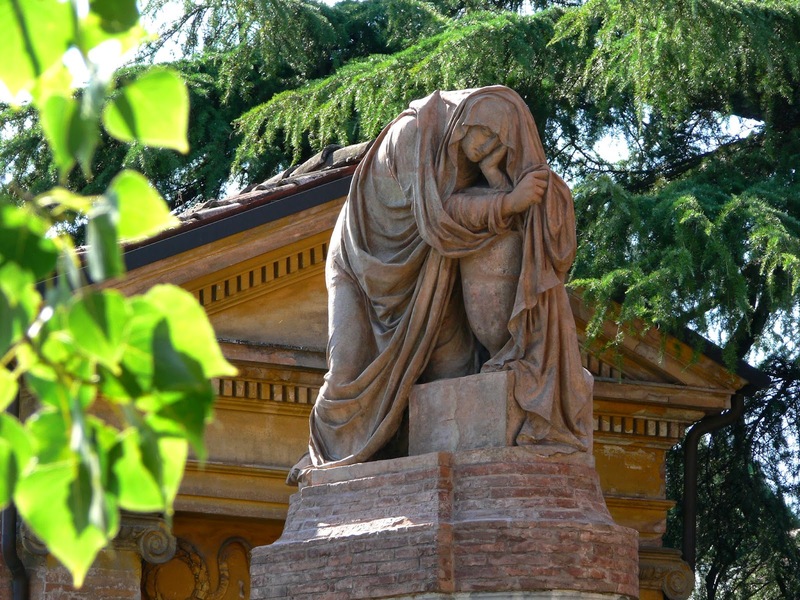 On the date of stipulation of the concession contract, the new assignee pays the fee for any burial to the Bologna Servizi Cimiteriali, plus the costs already sustained for the restoration of the monument; these sums are then paid to the Comune di Bologna net of administrative and operative costs, which re-invests them in further restorations and interventions on tombs of art-historical interest, creating a virtuous mechanism that is self-financing over time. Obviously, with the stipulation of the concession the new assignees become responsible for the maintenance of the tomb. The total number of tombs restored since the launch of the programme in 2005 is 26. With the sums recovered, together with the contribution of the Fondazione Cassa di Risparmio in Bologna, restorations have also been effected of the 16th-century fresco of the “Madonna and Child with Saints John the Baptist, Bruno and Jerome” by Bartolomeo Cesi (1556-1629), now preserved in the Certosa’s Sala Weber, of two large 17th-century paintings, “Ascent to Calvary” by Lucio Massari (1569-1633) and “Nativity” by Nunzio Rossi (1626-1651), which prior to restoration used to hang in the chapel of the Madonna delle Assi in the Certosa, and which for reasons of conservation are not respectively in the basilica of San Petronio and in Palazzo d’Accursio. 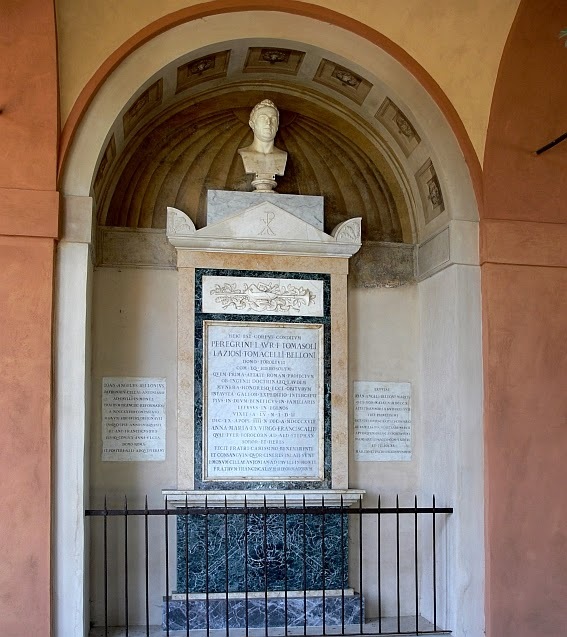 Finally, the restoration has also been effected of a fine marble sculpture by Carlo Monari, the brilliant mind behind the Rossi-Muratori tomb, and of a long corridor with over 70 antique gravestones dating mainly from the fourteenth to the late eighteenth century. The Museo civico del Risorgimento is planning new restoration programmes that will take place alongside the current refurbishment of the portico of the Chiostro Maggiore by the Public Works Division of the Comune di Bologna and by Bologna Servizi Cimiteriali. The portico suffered considerable damage in the earthquake of May 2012, and the intervention foresees a new roof and consolidation of the cupolas beneath. 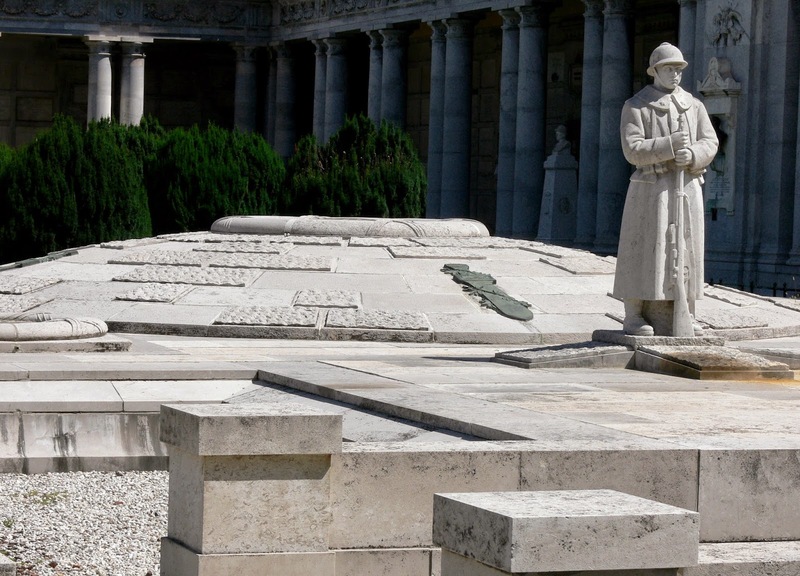 This yard will make a particularly important area of the cemetery usable once more, in which one can admire the now-restored monuments dedicated to explorer Pellegrino Matteucci (1850-1918) and opera singer Carlo Broschi, known as “Il Farinelli” (1705-1782).